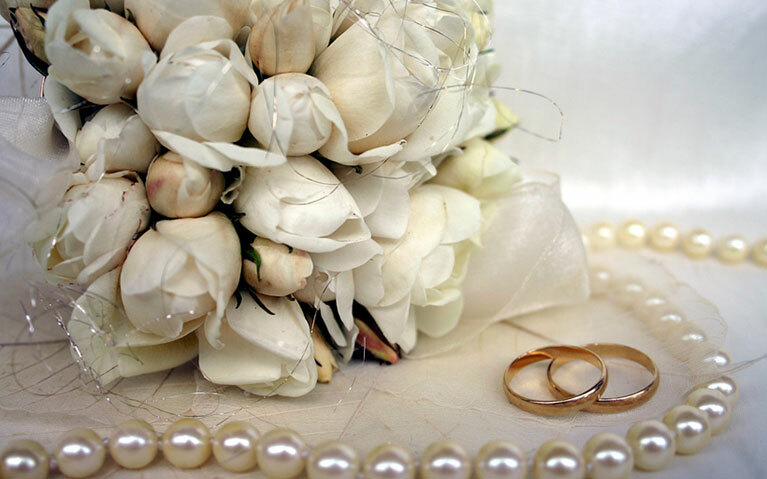 On the happiest day of your life mittendrin offers you an unforgettable wedding night with the following arrangement. Arrival whenever you want. The Romantic Room will be decorated for you with red roses, the bed will be decorated with rose leaves and rose garlands. You can smell a delicate fragrance in all the Romantic Room and you will enjoy champagne, fresh fruits, some titbits and chocolate. Music and candlelight create an inspiring atmosphere. In the romantic bathroom you’ll find different bath oils or foams for a bath for two. Soft towels, bathing shoes and a bathrobe make you feel home. The special Romantic Breakfast/Brunch makes all your wishes come true. You can get it into your room, where you can stay and enjoy it as long as you want to, at what time ever you want. This wedding arrangement can be a wedding present from a friend or you can book it yourself. And all that for a tariff for arrangements for two persons in the festively decorated Romantic and the Modern Rooms. Of course we will give attention to your special and personal wishes. I am looking forward to welcoming you as my guest and to making your visit to “mittendrin” as comfortable as possible. You want to know if there are any vacant rooms in my guest house during your vacation or business trip? Just fill in the form or email me. I will inform you about further details. The visitors have awarded MITTENDRIN with the "Excellence" certificate and the No. 1 B & B in Berlin with tripadvisor.de.